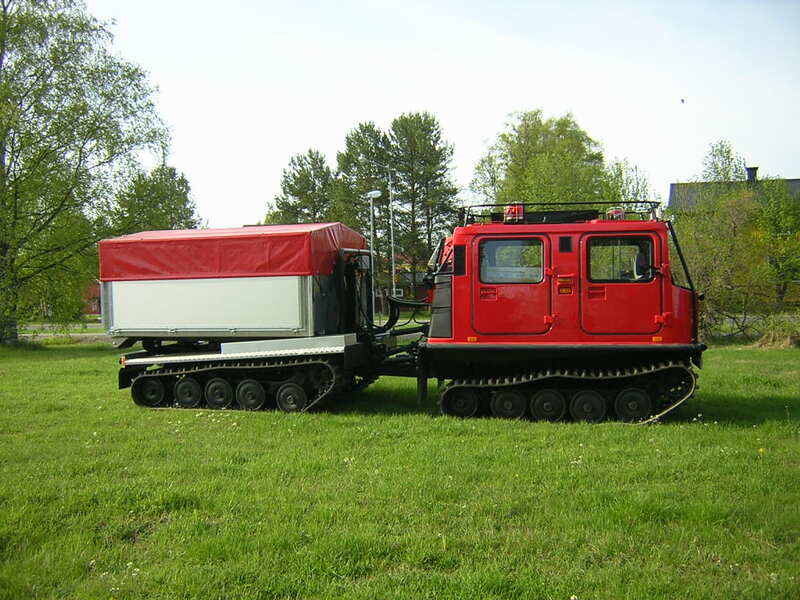 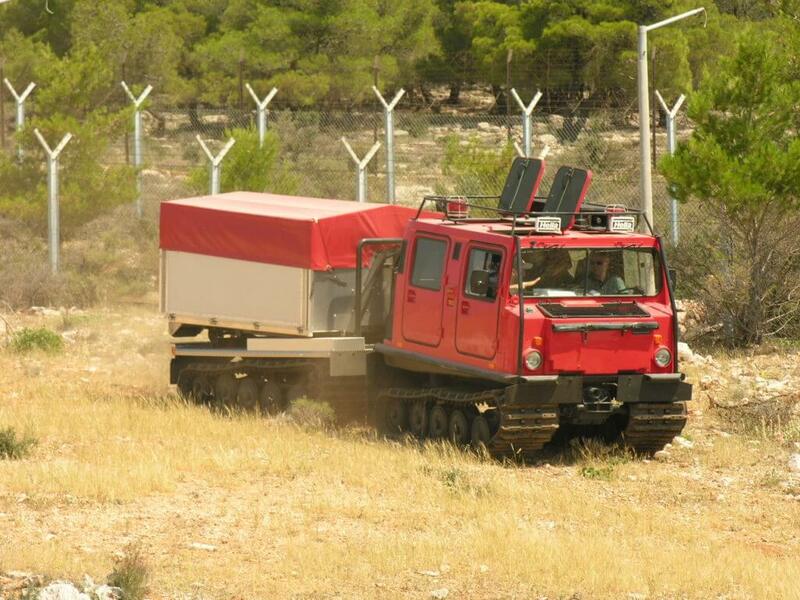 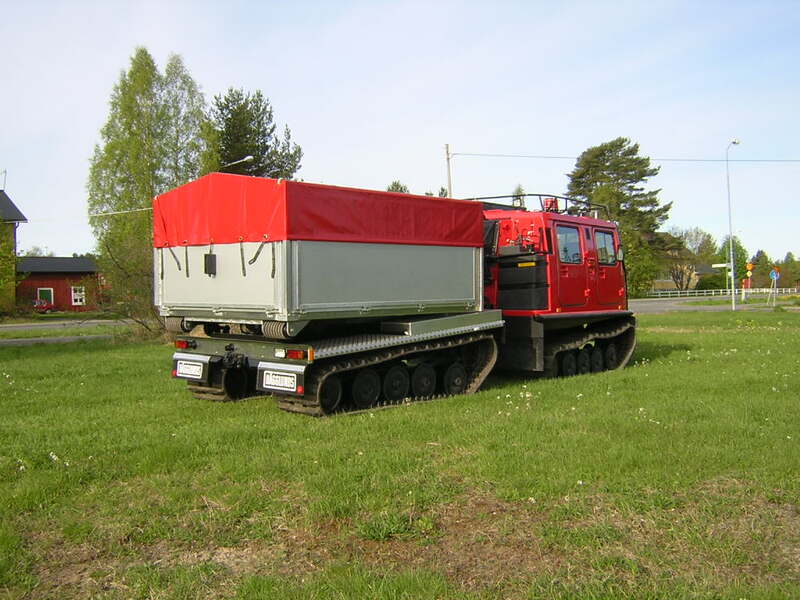 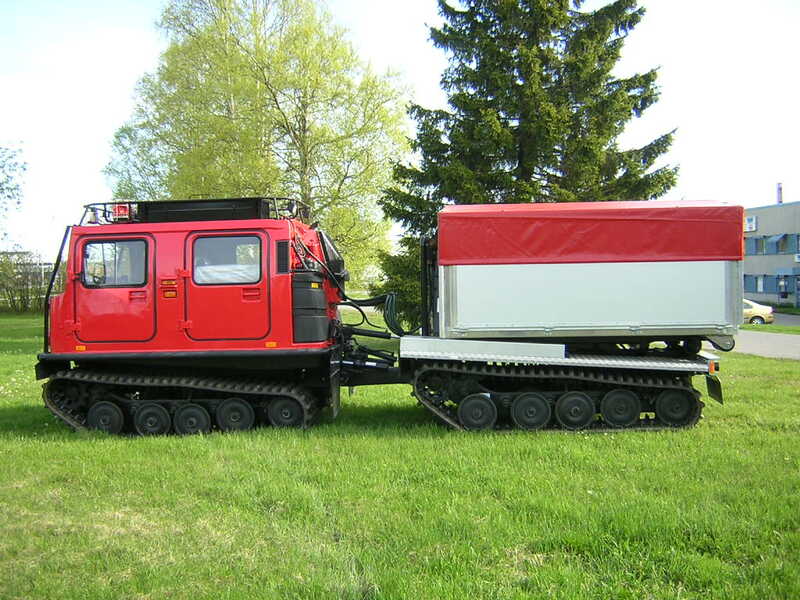 Tracked vehicles can be used as fire fighting vehicles for off road use, and in snow. 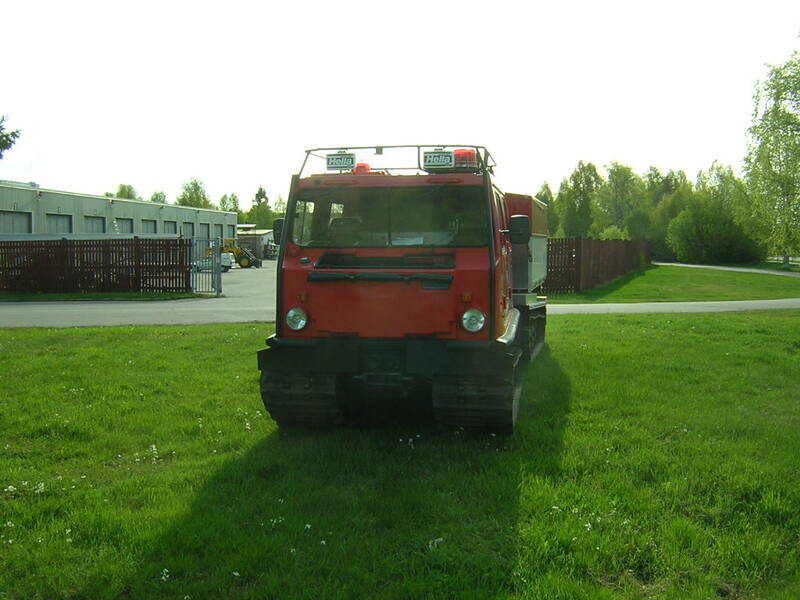 STV have designed and assembled fire figthing modules in many different shapes, amphibian modules, roof turrets and units for hook loaders and modules for airports. 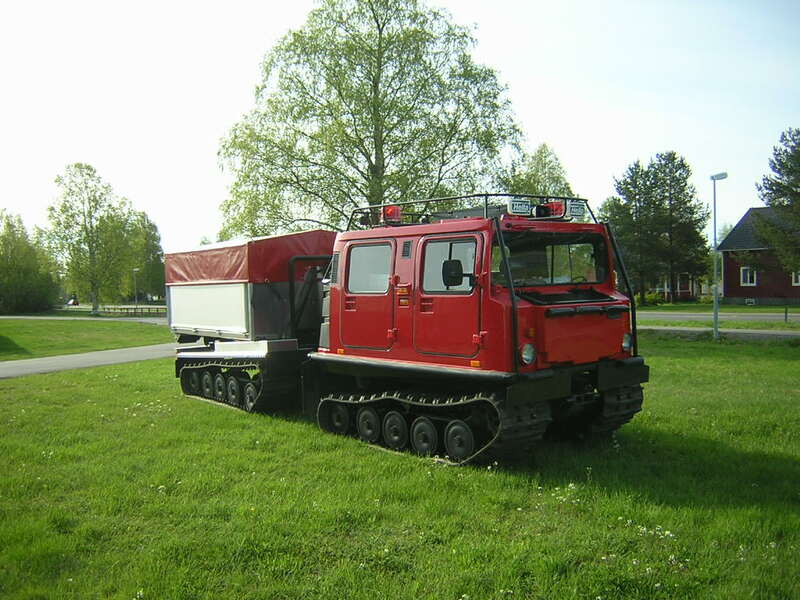 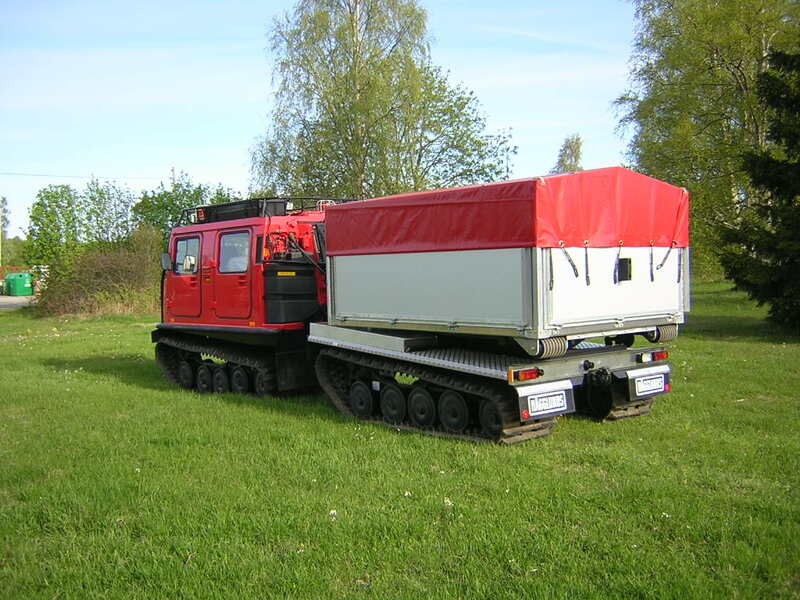 Below is a movie with a Hägglunds Bv 206 tracked vehicle with a Rosenbauer FOX S pump that delivers 1 kubic meter water per minute to a roof mounted turret, controllable from the drivers and passengers seat. 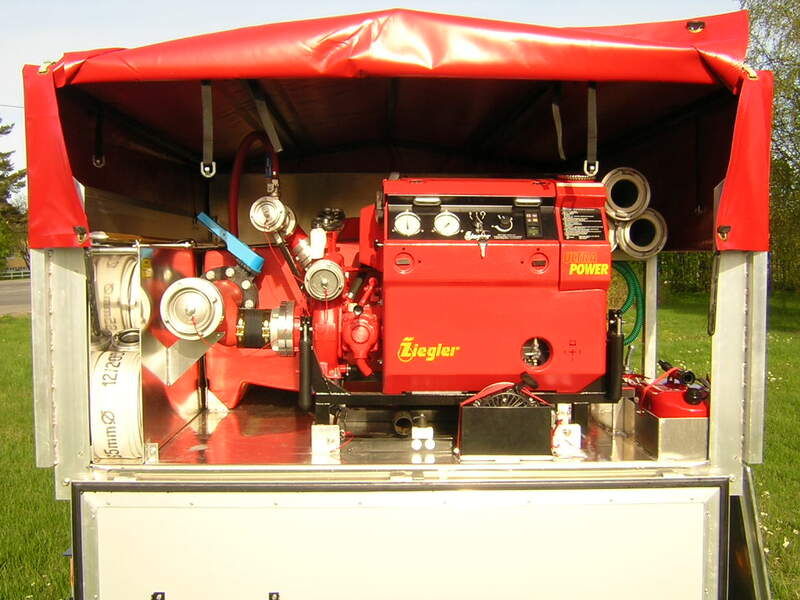 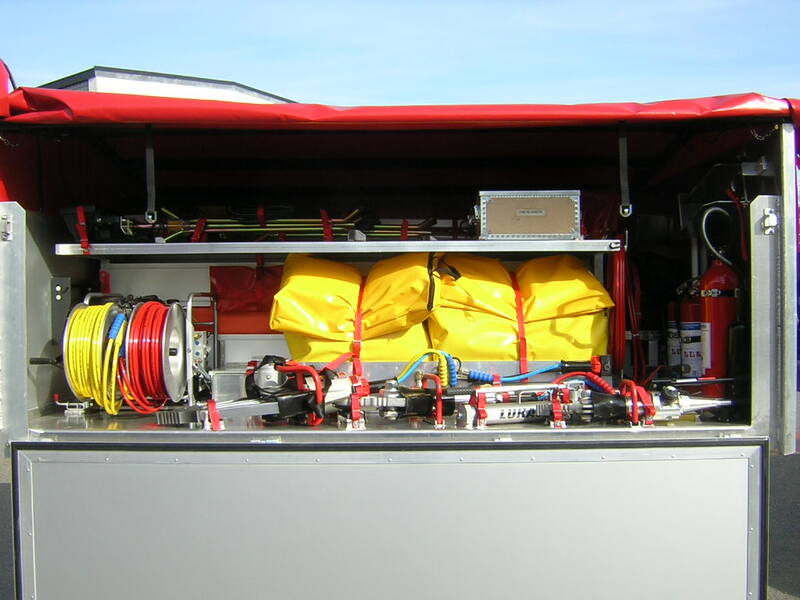 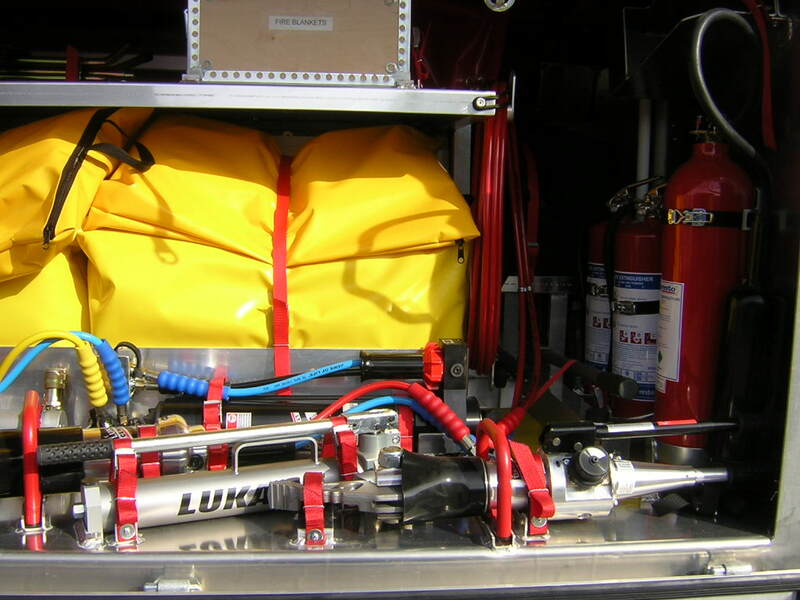 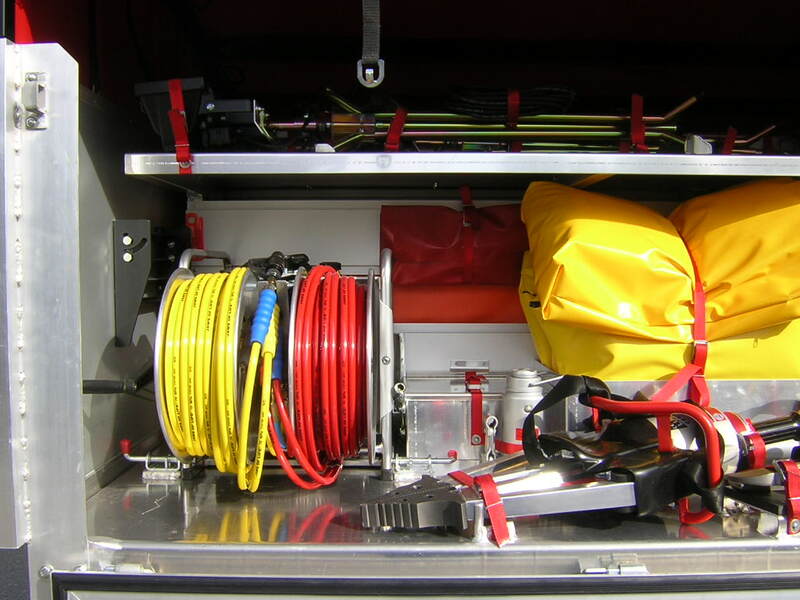 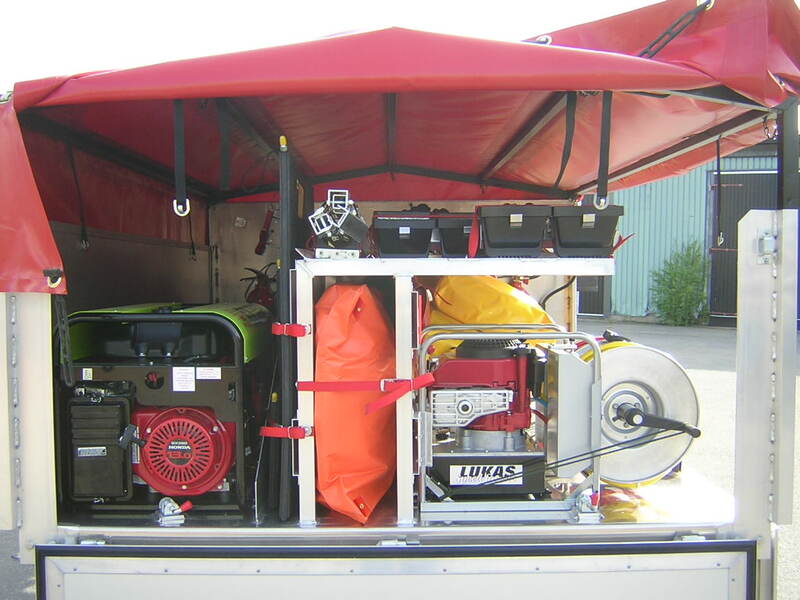 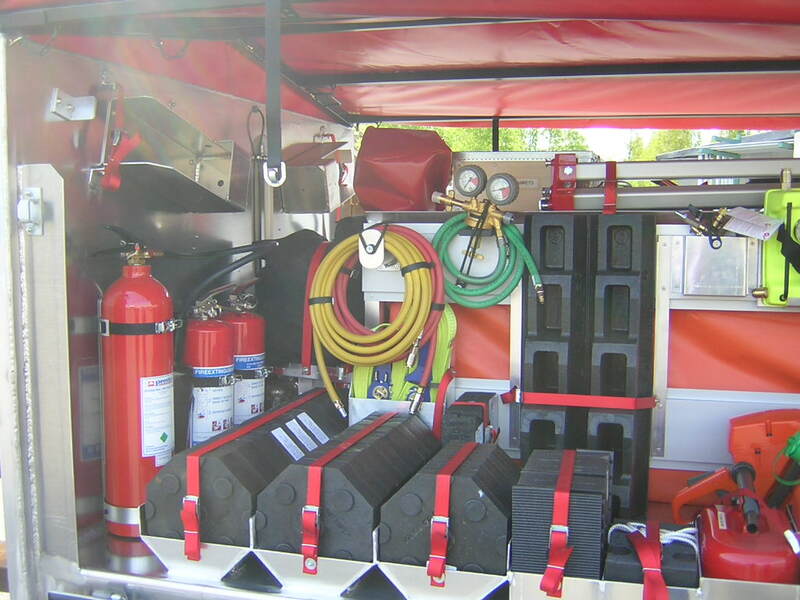 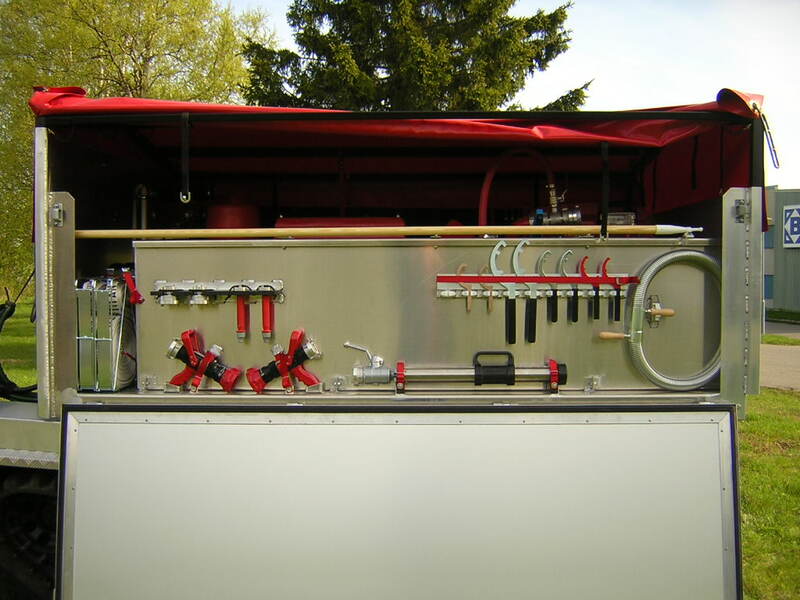 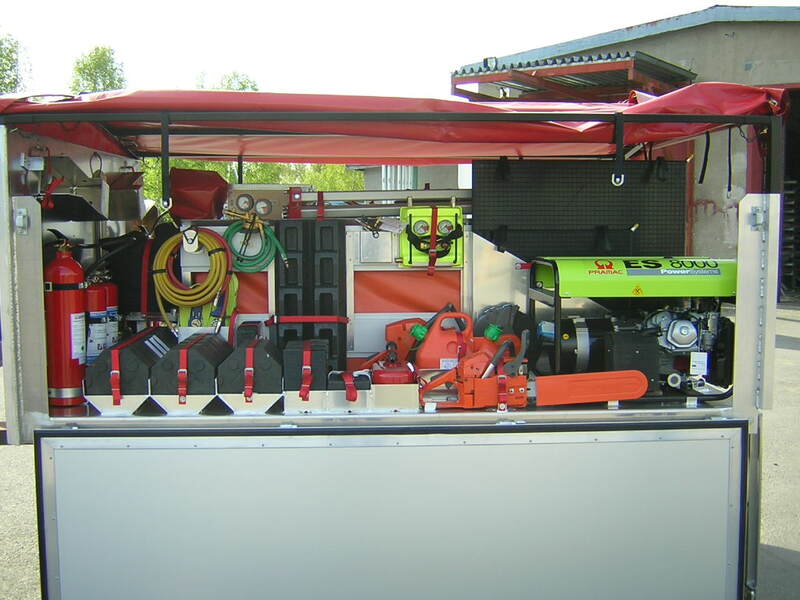 A Rosenbauer UHPS high pressure system is installed in the same module.